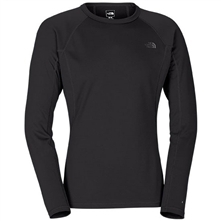 An essential baselayer for breathable warmth during low- to medium-intensity activities in cold conditions, this versatile midweight zip-neck top has a slim, next-to-skin fit. The anti-odor polyester knit fabric features FlashDry Eco fibers to wick sweat away from the skin and dramatically speed drying time. Crafted with mechanical stretch for improved range of movement under mid-layers. 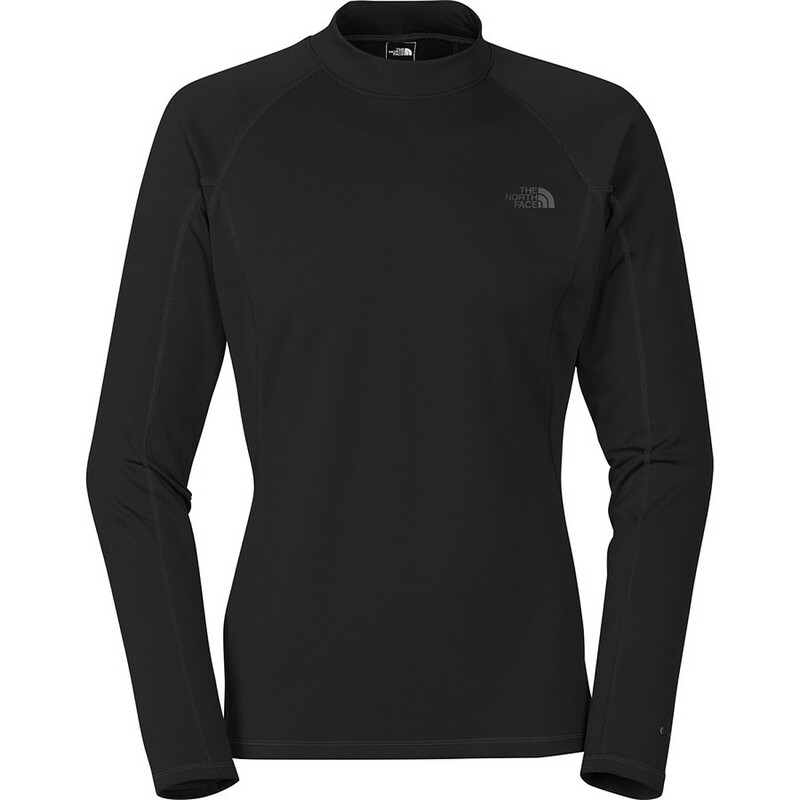 The North Face Men's Warm Zip-Neck Top is your essential midweight baselayer for charging hard on the slopes. And since nothing will chill you off faster than a clammy bottom layer, this 1/2-zip top features Flash-Dry Eco fabric for super-fast moisture-wicking and quick-drying performance. The stretch fabric offers a comfortable and mobile next-to-skin fit, and its anti-odor properties keep the top from stinking out the bar after you've finished your runs for the day. 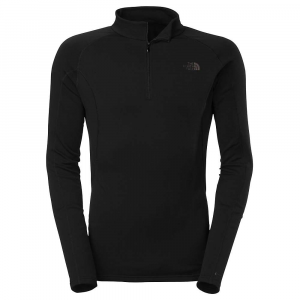 Not just a clever name, The North Face Men's Warm Long Sleeve Zip Neck Shirt is just that: it's warm. 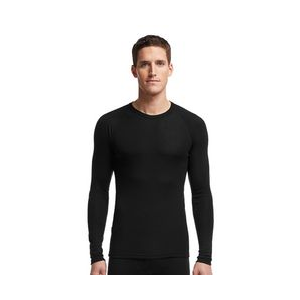 Made from 2-layer double knit synthetic fabric with extreme mechanical stretch, this long underwear shirt uses FlashDry fibers to enhance breathability and speed up dry time if it gets damp or sweaty. The mock neck is ultra cozy on a blustery day outside, and the -zip front allows for ventilation if you warm up while skiing. 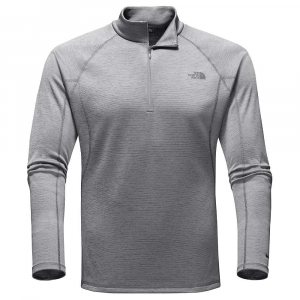 The perfect base layer for low-to-medium intensity adventures like a mellow snowshoe trek or a day of skiing groomers, The North Face Men's Warm Long Sleeve Zip Neck Shirt offers maximum warmth and mobility in cold weather. 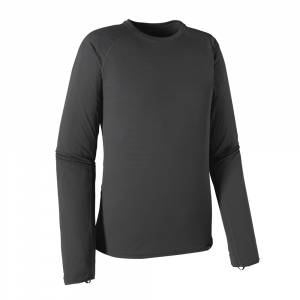 Build a foundation of warmth when embarking on winter expeditions with this stretch fleece heavyweight baselayer that's designed to keep you warm and dry in the coldest environments. 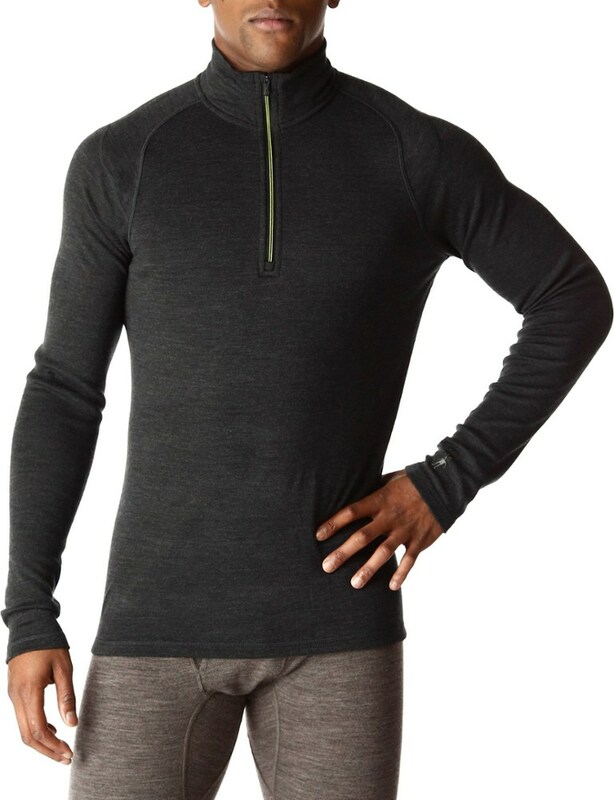 This breathable zip-neck fleece top has a next-to-skin fit, allowing FlashDry(TM) fibers to wick moisture away from the skin and dramatically speed drying time. Constructed with stretch for freedom of movement when layered during low- to medium-intensity activities.